Eyesight is perhaps one of the more widely known effects of aging. As we age it i s normal for our eyesight to be negatively impacted. 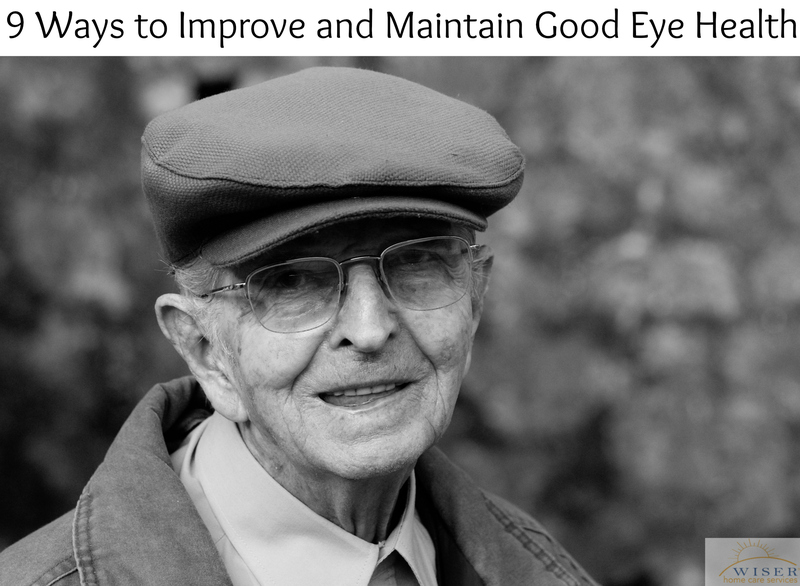 In addition to the normal effects of aging on our eyes, senior citizens are also at a higher risk of eye conditions such as cataracts, age-related macular degeneration, diabetic retinopathy, and glaucoma. It is estimated that 24 million Americans over the age of 40 have a cataract in one or both eyes. These cataracts normally develop slowly and will eventually lead to blurred vision, sensitivity to bright lights and glare, and trouble seeing at night, and an increased risk of falling. There is no cure. Surgery is the only effective treatment. The macula, is a tiny area near the center of the light-sensitive retina, it helps produce sharp close-up vision. Damage knocks out central vision. A combination of factors including family history, smoking and sunlight all play a part in its development. Like Cataracts, there is no cure. The therapy of high levels of anti-oxidant vitamins and minerals could help slow down the progression. Some researchers no longer think of glaucoma as solely an eye disease, but rather as a neurological disorder that causes nerve cells in the brain to die. Eye pressure is a risk factor but doctors also look for changes in the loss of peripheral vision and damage to optic nerve. Untreated, glaucoma can cause blindness. There is no treatment to undo damage caused, doctors can only prevent further damage. Treatment is usually eye drops to lower pressure or possibly surgery to improve the flow of fluid out of the eye. If you still have questions and concerns about how to help your elderly loved one maintain their eye health please feel free to contact us. We can help your family establish a care plan to personally accommodate your loved one needs.